Ranked 6 / 2436 Clinics & 8 / 4064 Providers. I came to this clinic on reference by a very close friend. Totally surprised to see such quality of treatment and professionalism in indian dentists. The clinic is full of latest equipment, and is super clean. My treatment was done by Dr Stuti Thaper, i must say she is one of the most humble doctors with very warm attitude. Got 4 all ceramic crowns & 1 implant done within 1 week of time, andat dirt cheap cost compared to USA. All the best to the team and wish to see you guys prosper. Cheers!! Summary:The service I needed was related to Dental Implants. I went to the Thaper Dental Clinic to receive treatment and I have received it. I had an appointment at the Thaper Dental Clinic. The service I received was excellent. Afterwards I had no complications. My health has significantly improved after receiving the services from the Thaper Dental Clinic. Summary:The service I needed was related to Dental Implants. I went to the Thaper Dental Clinic to receive operation and I have received it. I had an appointment at the Thaper Dental Clinic. The service I received was excellent. Afterwards I had no complications. 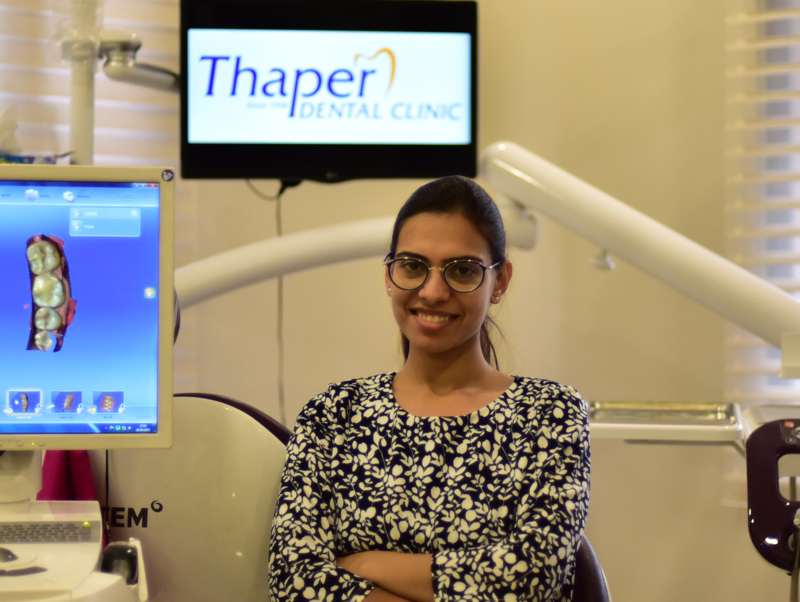 My health has significantly improved after receiving the services from the Thaper Dental Clinic.